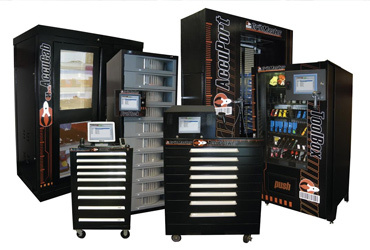 Shively Bros. utilizes a variety of vending solutions to meet each customer's specific needs. Whether you are interested in RFID, a simple candy-style vending machine, or tracking your inventory on your mobile device, Shively Bros. has a solution for you. We can mix and match hardware to provide the best, customized point-of-use solution for your company.